Structure in chromium-plated metal or in powder coated metal (colour brown bronze) with anti-skid ferrule. Seat support in wood with fibre covering matched with jersey. Seat cushions in expanded polyurethane in layers of different depths, upholstered with feather mattress, covered in cotton. Back cushions and armrests with insert in expanded polyurethane and wood, upholstered with feather mattress, covered in cotton. 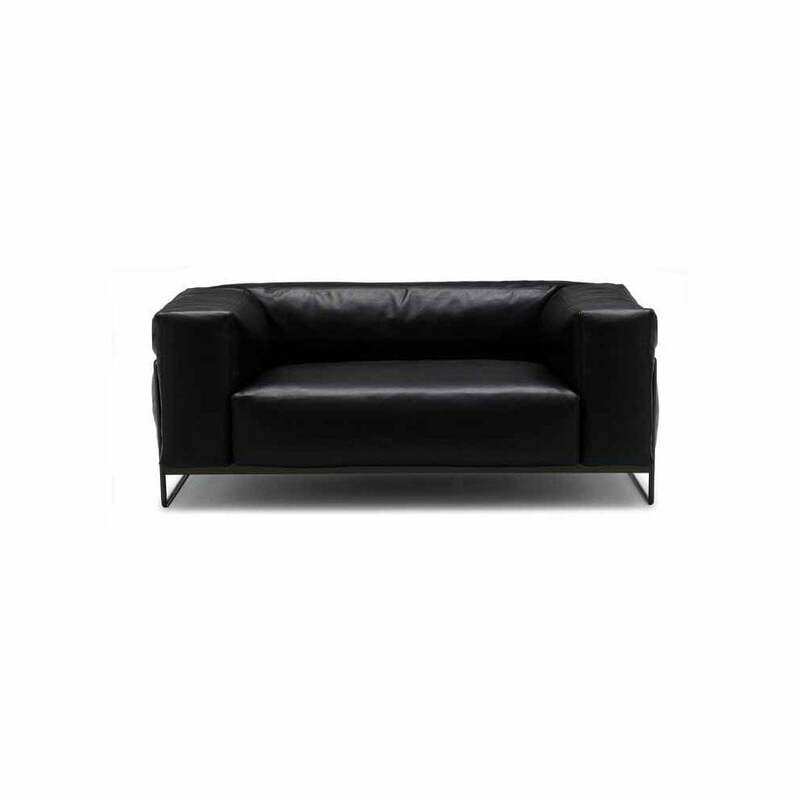 Elements upholstered in completely removable fabric or completely removable leather. Tweed is a visually compact, dense and textural product. The aim was to design a sofa series that makes you want to give it a hug each time you see it. The challenge was to reconcile its absolutely geometric, almost blocky appearance with the softness of its cushions and the comfort of its seating.